The fog was so thick that deputies didn't immediately realize they were dealing with multiple accidents. 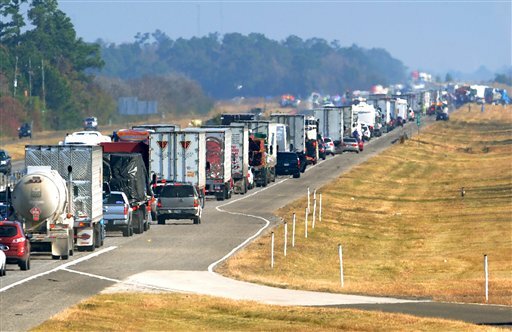 BEAUMONT — Two people died and more than 80 people were hurt Thursday when at least 140 vehicles collided in Southeast Texas in a pileup that left trucks twisted on top of each other and authorities rushing to pull survivors from the wreckage. 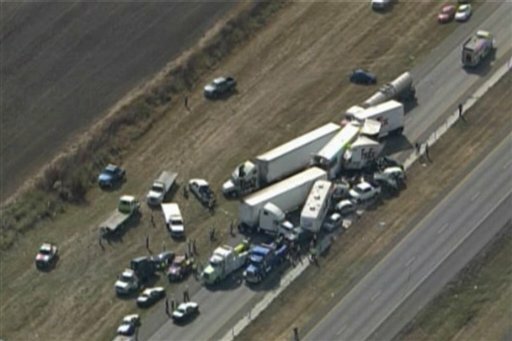 DPS trooper Stephanie Davis late Thursday identified the dead as Debra Leggio, 60, and Vincent Leggio, 64. Davis told KFDM that two people in an SUV died after the crash.